Now the sun has eased its fierceness but temperatures are still pleasant, the idea of getting into a car and exploring the island’s cultural treasures is even more appealing. 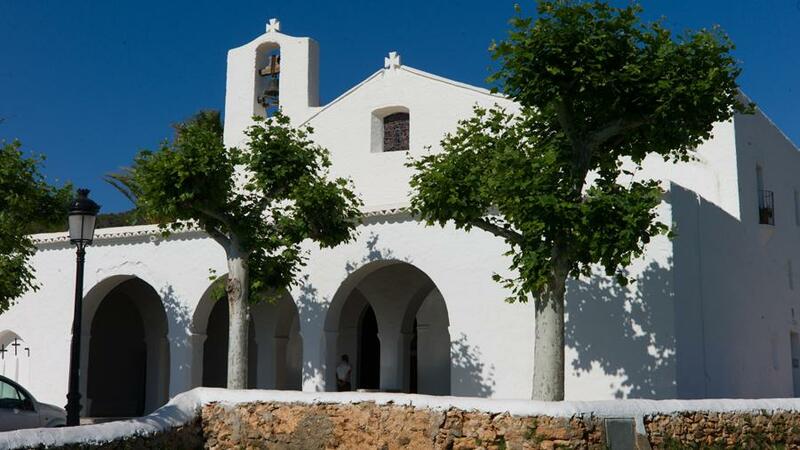 One of the must-see routes that start off at Playa d’en Bossa is the fortified church route in Ibiza as this route will also reveal the beautiful landscapes inland. Rent a car -our front desk will be delighted to help you with this- and set out to discover the timeless Ibiza. 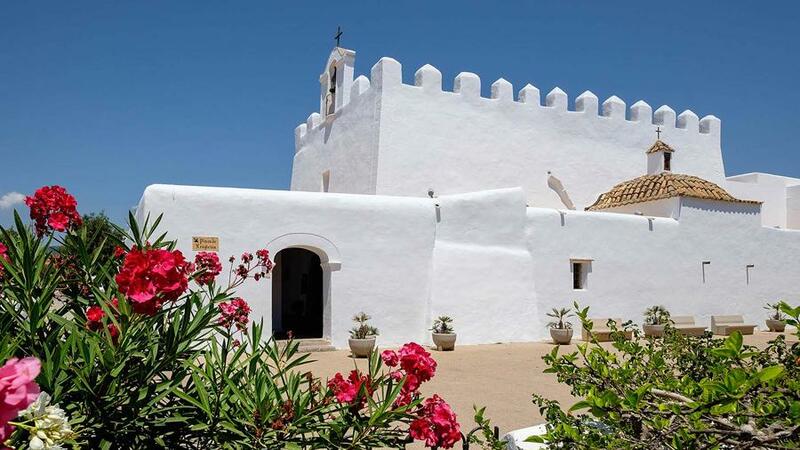 Only a five-minute drive from d’en Bossa beach and Ibiza Sun Apartments is one of Ibiza’s most unique churches: Sant Jordi church, the only one with battlements on the island. Once you've admired its fortified shape, head towards Es Cubells in search of the only temple on the island that was built facing the sea (ruling out the cathedral crowning Dalt Vila in the city of Ibiza). We are sure that you will like this location overlooking he neighbouring cliffs as well as the drive up to this quiet spot on the island. After visiting Es Cubells and enjoying a coffee whilst taking in the splendid views at Bar Llumbi, the route continues towards the village of Sant Josep and its temple that is on the side of the road. The northern half of the island boasts the largest amount of churches on the island. A good way to make sure you won’t miss any is by setting a circular route that starts at the Jesús temple, a few kilometres away from the city of Ibiza (don’t miss its Gothic altarpiece). From here, the recommended route would be: the collection of historic buildings of Puig de Missa in Santa Eulària des Riu, Sant Carles, Sant Vicent de sa Cala (the most remote church on the island), Sant Joan, Sant Llorenç de Bàlafia, Sant Miquel, Santa Gertrudis, Sant Rafel and Sant Antoni de Portmany, another excellent sample of a fortified church. Offer code for your stay in Ibiza in October. Discover the church route and other interesting places in Ibiza in October with a 10% discount on your stay if you enter the OCTOBERSUN offer code when you book a room with us.